This quote from an online National Law Journal article (see https://www.law.com/nationallawjournal/2018/09/11/feds-should-be-banging-the-drum-the-loudest-for-cannabis-industry-banking/?slreturn=20180812164053) and others like it, have been used by both (all?) sides of the marijuana argument currently embroiling America. If there are answers to those questions, we need to first go back almost 10 years to the first DOJ memo on marijuana. But an interim stop is warranted, to March 2017 with President Trump’s Executive Order 13777 calling for federal agencies to establish Regulatory Reform Task Forces to identify regulations for potential repeal, replacement, or modification. At that time the President, and (fairly) some others felt that American society was over-regulated. It was time to take a look at all the regulations, and repeal, replace, or modify. In response, the Department of Justice formed its task force and began its work identifying regulations, rules, and anything that looked like and acted like a regulation or rule. Today, in an action to further uphold the rule of law in the executive branch, Attorney General Jeff Sessions issued a memo prohibiting the Department of Justice from issuing guidance documents that have the effect of adopting new regulatory requirements or amending the law. The memo prevents the Department of Justice from evading required rulemaking processes by using guidance memos to create de facto regulations. The Attorney General’s Regulatory Reform Task Force, led by Associate Attorney General Brand, will conduct a review of existing Department documents and will recommend candidates for repeal or modification in the light of this memo’s principles. On December 21, 2017 the Attorney General announced that “pursuant to Executive Order 13777 and his November memorandum prohibiting certain guidance documents, he is rescinding 25 such documents that were unnecessary, inconsistent with existing law, or otherwise improper.” None of the “marijuana memos” were on the list of twenty-five. Cole III – February 14, 2014: “Memorandum for All United States Attorneys: Guidance Regarding Marijuana Related Financial Crimes”. The title of this memo is important: unlike Cole II, Cole III brought in marijuana related financial crimes, the obligations of financial institutions, and the specter of those institutions violating federal law by knowingly providing services to marijuana-related businesses. In fact, Cole III noted that the Cole II guidance “did not specifically address what, if any, impact it would have on certain financial crimes for which marijuana-related conduct is a predicate.” Cole III addressed those impacts. Cole III needs to be read with the FinCEN Guidance issued the same (Valentine’s) day. I won’t repeat the FinCEN Guidance here (you can find it here https://www.fincen.gov/resources/statutes-regulations/guidance/bsa-expectations-regarding-marijuana-related-businesses) but its authors intended that it “clarifies how financial institutions can provide services to marijuana-related businesses consistent with their BSA obligations.” [Note that most financial institutions have interpreted that to mean they cannot provide services to marijuana-related businesses and meet their BSA obligations]. The FinCEN Guidance heavily relied on and quoted the Cole II eight priorities, and set out requirements for risk assessments, customer due diligence (seven distinct requirements), a requirement that “financial institutions should consider whether a marijuana-related business implicates a Cole priority or violates state law, twenty-five “red flags” for monitoring and surveillance of marijuana-related businesses, and how to (and shall) file Suspicious Activity Reports on everymarijuana-related business customer, regardless of whether their activity is suspicious or not. Again, the vast majority of financial institutions have chosen not to knowingly bank marijuana-related businesses. And he directed that enforcement at banks, credit unions, and money remitters, among others. His memo began with a statement about the “significant penalties” for the “serious crimes” of cultivating, distributing, and possessing the “dangerous drug” marijuana in violation of the Controlled Substances Act. He then stated that these activities “also may serve as the basis for the prosecution of other crimes”, and he listed three such crimes: (1) those prohibited by the money laundering statutes under Title 18, sections 1956 and 1957; (2) the unlicensed money transmitter statute under Title 18, section 1960; and (3) the Bank Secrecy Act under Title 31, section 5318. That challenge must be taken up by FinCEN and the banking regulators. 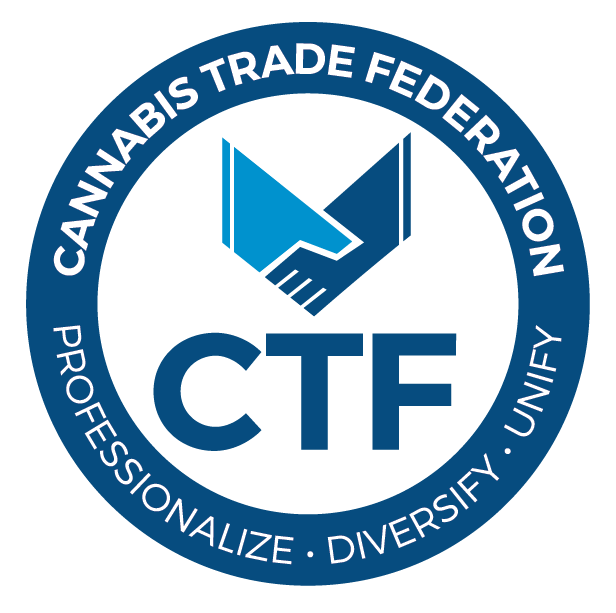 Unless and until the financial services industry gets clear, unequivocal, consistent, written laws, regulations, and guidance from Congress, Treasury, and Justice to provide banking services to marijuana-related businesses, it will and should do what it is currently doing – balancing the undue risks against the insufficient rewards – and continue to stand on the sidelines while our communities, veterans, patients, doctors, caregivers, and others suffer. Congressional and Executive Branch compassionwithout the necessary collaboration and courage to act will not resolve this crisis. FinCEN data suggests that ~400 of the ~12,000, or about 3% of, US credit unions and banks are knowingly providing financial services to marijuana-related businesses.